"Being in the right place at the right time". Is the secret of success exclusively summarized in this sentence? Maybe yes, or maybe not. The fact is that "place" and "moment" are essential elements to reach the apex. This was confirmed by Claudio Rotunno, a businessman from Sassari, owner of Pubblicover Events Design, and Giulio Barbieri, owner of the homonymous company in Poggio Renatico, which for the summer of 2018 launched an important collaboration aimed at strengthening the positioning of their respective businesses as real points of reference in the world of luxury design and events. 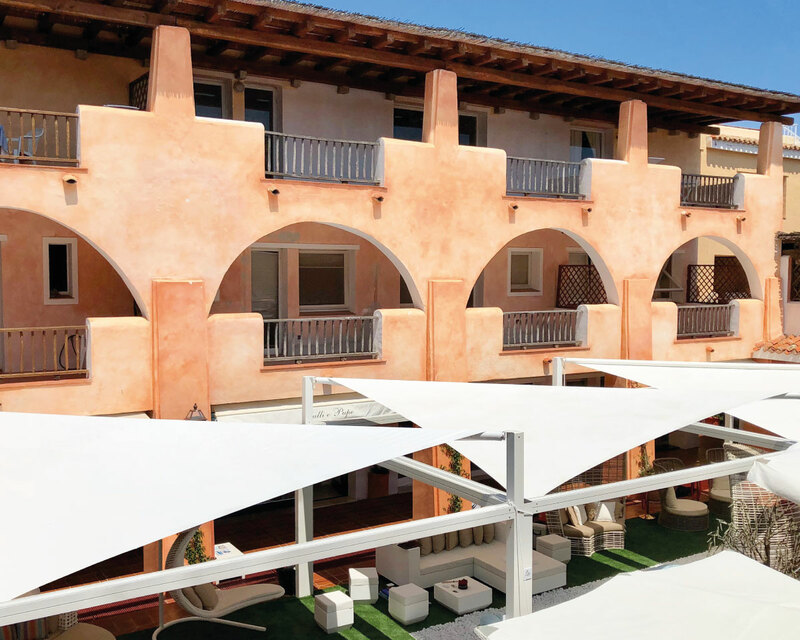 The trait d'union between Sassari and Ferrara, between the world of events and the outdoor world is represented by Vela, the shade sail structure that Rotunno chose from the shading range made available by Giulio Barbieri S.r.l. and that will become one of the elements characterizing the new show-room of Pubblicover in Porto Cervo. 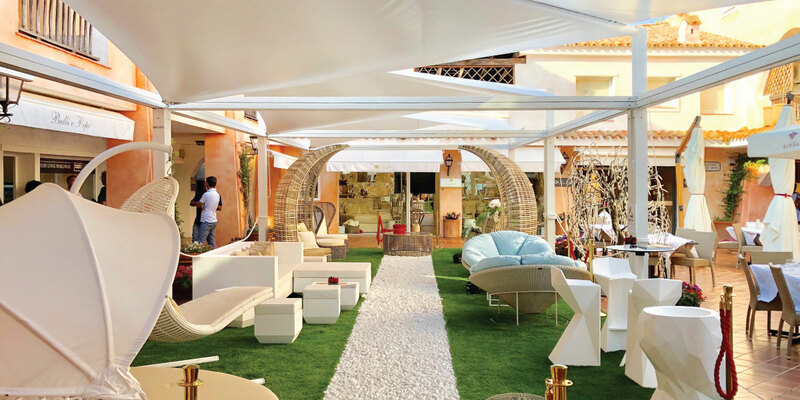 The right place then, if you think that Porto Cervo and the Costa Smeralda in general are annually among the main destinations of luxury tourism and that the new showroom of Rotunno is located in Piazzetta degli Archi, among major brands such as Missoni, Rolex Loro Piana and North Sails. The right time? Yes, there is also that: the summer season. The official inauguration of the Pubblicover show-room is scheduled for July 20, the "hot" month par excellence, from which hundreds of VIPs reach the coasts of Sardinia with their yachts to spend their holidays between fashion, design and entertainment . The data of Federagenti have reported for 2017 a 10% increase in the stay of yachts on the Italian coast, as expected also for 2018. Therefore, "time" and "place" seem to be the ideal ones to reach the public on special occasions and to present themselves not only in the best dress, but as real experts in the sector, able to fully respond to customer requests. To demonstrate the quality of services and products offered by the two companies the twenty-year experience in their respective activities speak for themselves in addition to the many references acquired: Rolex, the Bilionair and the Vatican for Rotunno; Buckingham Palace, Fifa World Cup and Moto GP for Barbieri. A collaboration that looks good, and that aims high, starting from the super chic set-up created for the inauguration of the new show-room. Three models of triangular shade sail, with a minimal and elegant design are proposed among the countless particularities dedicated to the world of events. The structures are projected to give even more class and particularity to a space already glamorous to create unique and unforgettable panorama.